KWILT KRAZY: Oh Happy Day!! 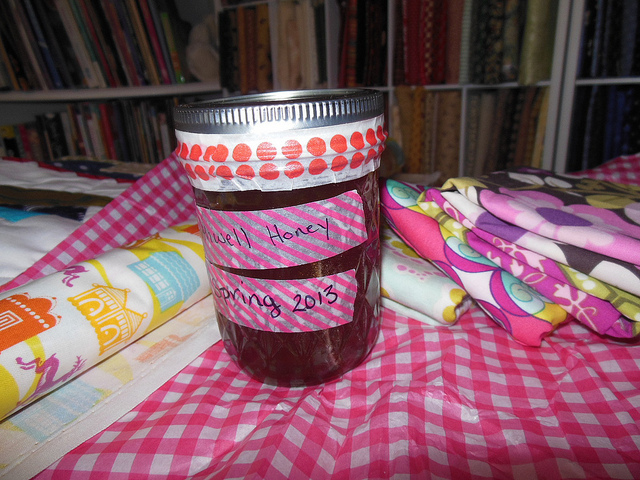 I joined my first ever swap. 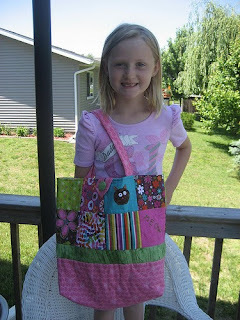 It was a tote bag swap, hosted by lia*s handmades. My secret partner was a 7 year old girl that likes cats and bright colors. Here is the one that I made for her. Yesterday my husband called me at work and said “there’s a package here for you” He knew what I had been waiting for :) I couldn’t wait to get home. I was so excited! Everything was neatly wrapped in different colored tissue paper. Here is my bag. Isn’t it wonderful? 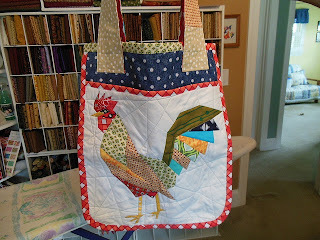 I love all the detail and the paper pieced rooster yee haw! I didn’t even tell my partner that I love farm animals. The lining has pigs,cows, birds, etc... 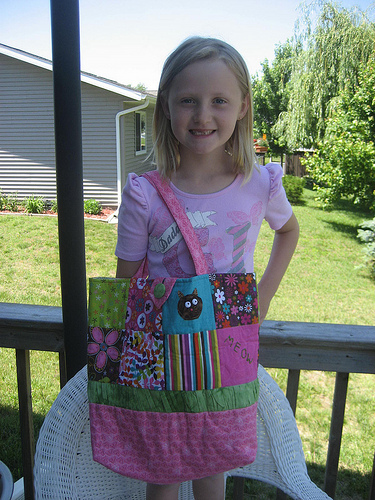 It has wonderful wide straps and several pockets and even a key ring! Check out the goodies that came too!